bobblehead is an engineer and he is holding a blueprint at hands. 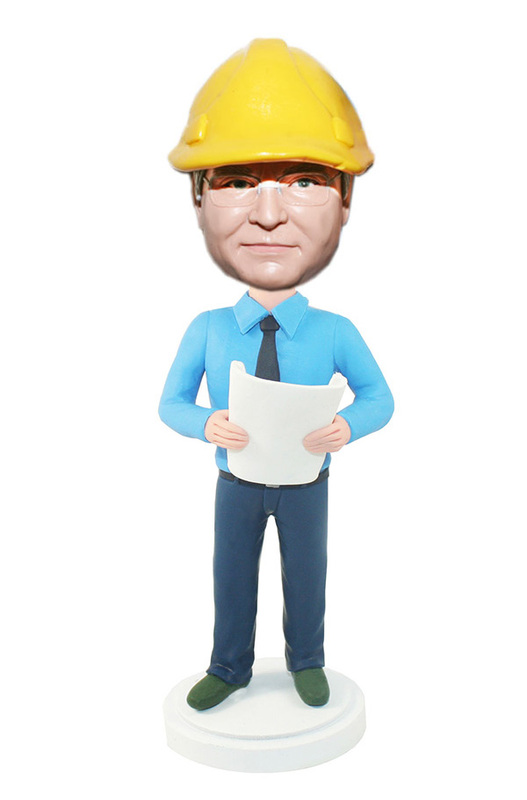 This customized engineer bobblehead can be a perfect and unique gift for your most respect engineer. Time to tell him how you appreciate him. 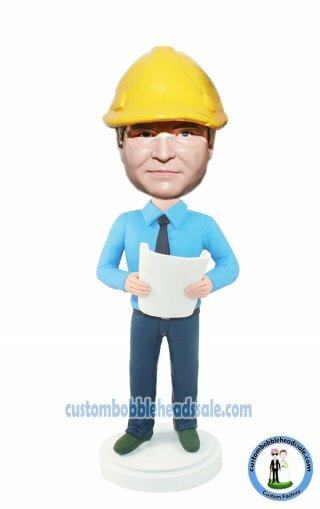 No time to waste and quickly get this bobble for your dear leader!Photo custom handmade 3D mini doll. Change the clothing for free, You only leave the message when you place the order.